For a simple mod that can make an impression, consider swapping out the stock wheels on your Lexus. Chrome wheels are popular and don’t have to be overly detailed to look great. They can add visual pop to your vehicle, so it stands out without spending a lot of money or effort. Another way to mod Lexus vehicles is by changing the overall look. A new paint job is one way to go, but repainting your Lexus can cost a good chunk of money. One cost-effective solution is to invest in a wrap. Vehicle wraps come in various colors and styles. You can add style with a matte finish or an iridescent finish or do a full body wrap. Wraps are popular because they remove easy if you want to change your car’s look later. Not every Lexus mod is designed to enhance the vehicle’s look: some are geared toward protection. Lips are durable rubber additions that can be added to bumpers, doors, side skirts, and more. They can blend into the overall look of your Lexus but create a subtle layer of protection that minimizes dings and scratches, so your car continues to look great. Modern vehicles are all about the latest gadgets. Even if you don’t have a brand new vehicle, that doesn’t mean you can’t enjoy the same perks. Upgrading your sound system with MP3 or Bluetooth capability is great for listening to your favorite music while driving. GPS technology, Wi-Fi access points, and even dashboard televisions for passengers are all Lexus mods worth considering if you don’t mind spending more money. If you want to focus on performance over style, consider modifying under the hood. An ECU remapping can override factory settings to improve the power of your Lexus’s engine. You can also perform an electric conversion on your vehicle to make it more eco-friendly. It’s not the cheapest mod, but the increase in fuel efficiency and smaller carbon footprint can add up to a big difference. No matter what your goals are, there’s a modification that will be perfect. 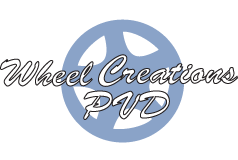 Adding a lip kit, wrapping your vehicle, or upgrading your Lexus with chrome wheels from Wheel Creations PVD are all simple options that can make a huge difference. Of course, there are always pricier options when you want to invest the money. It’s best to decide what traits you want to highlight on your Lexus to determine the best mods to purchase.